The first three books in the Unicorn Daze Series is now available in e-book for just $2.99 US. That is a 50% savings. The audiobook will be out within the next 3 weeks. The audiobooks are word for word to the ebook and print books. They are a great way for kids to learn to read. 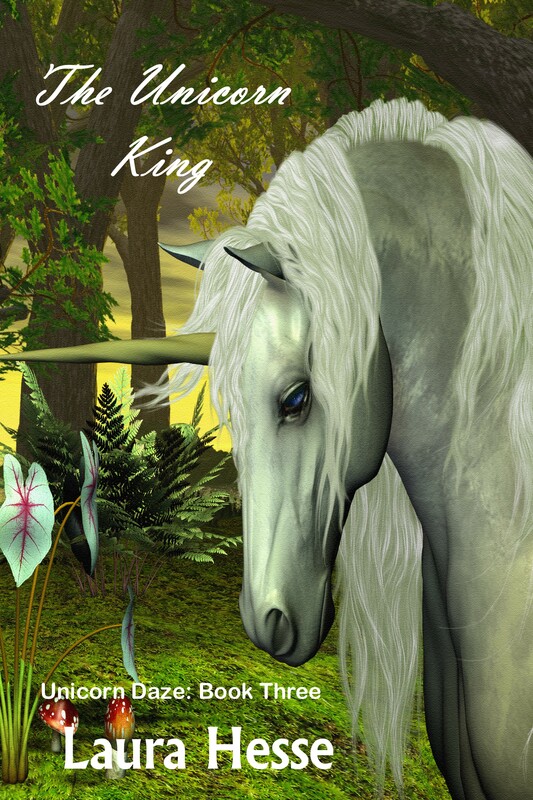 The Unicorn King, book Three in the Unicorn Daze Series will be live on Amazon in 24 hours. 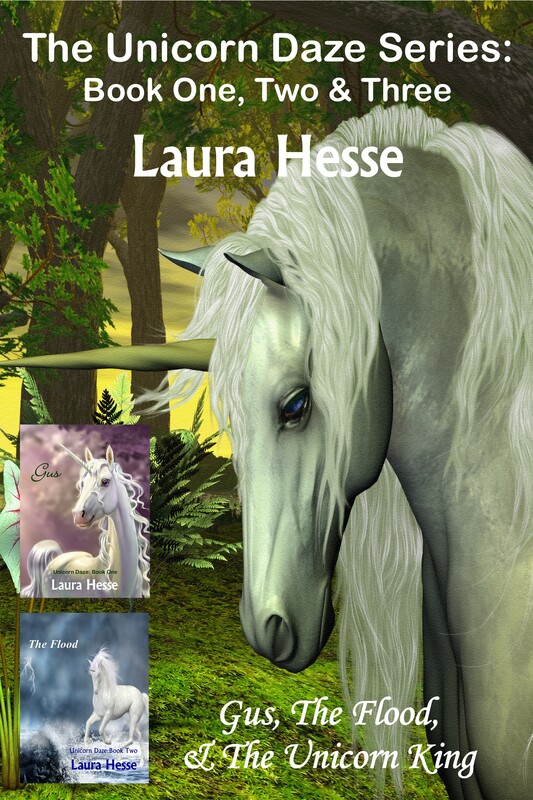 Jessie and Gus, the son of the Unicorn King, cross the Great Plains and the Azure Sea after a wise Kilin sends them on a quest to find Gus’ father who hasn’t been seen in years. Along the way, they meet a helpful seagull and struggle to outwit a shark bent on stopping them. This short story is written in an easy to read play format. Read it out loud, with or without voices, or let the kids act it out as a play. The soon to be released audio book is word for word to the e-book and print book. It is a great tool for helping kids learn to read. Watch for more adventures with Gus and Jessie in the up-coming sequels, The King of Christmas and The Unicorn Wears Red. 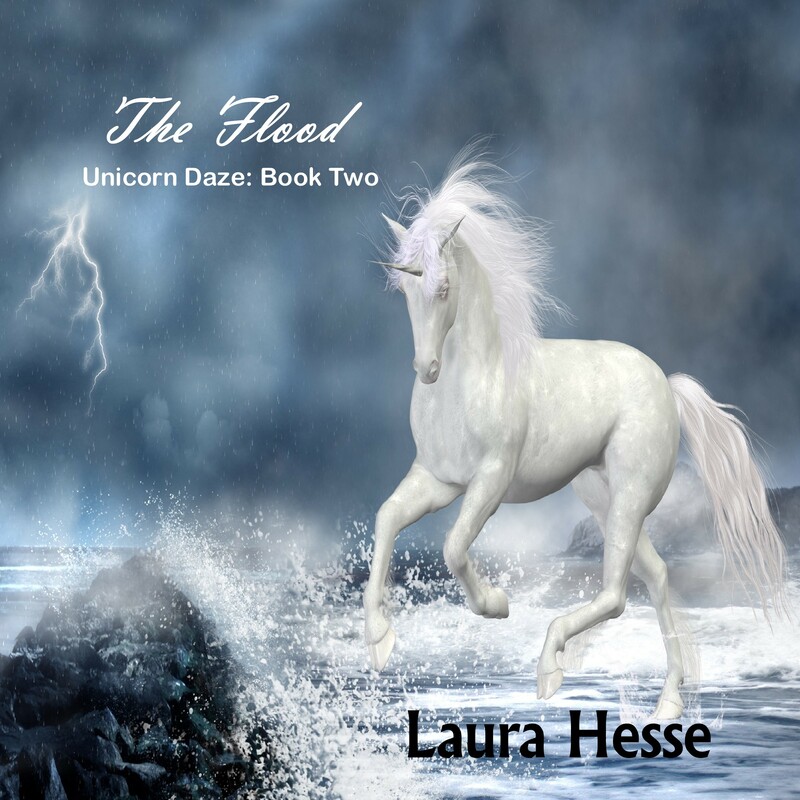 The Flood, Book Two in the Unicorn Daze Series is now available for your listening pleasure on Amazon, iTunes, and Audible around the world. Gus and Jessie’s adventures continue as they leap through time to meet Noah just minutes before the great flood and Jessie also gets a chance to meet Aslin, the love of Gus’ life. Check out the preview on Audible.